What if I told you that not all biracial people look the same? Halsey has long been vocal about her biracial identity. Though Halsey is considered "white passing", her father is African American, and she has said that she identifies as biracial as well. Cue people online who can't quite wrap their heads around the fact that not all black/biracial people look the same. 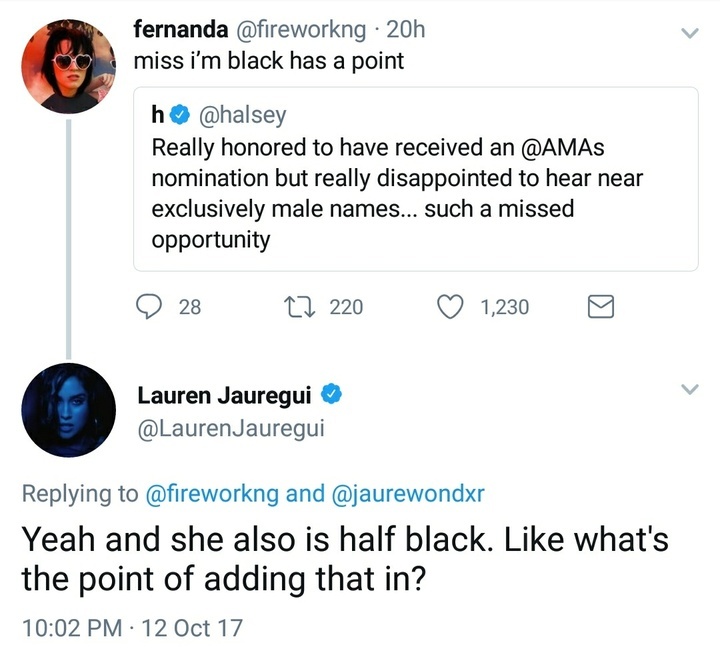 Fifth Harmony's Lauren Jauregui stepped in to defend her friend and collaborator against a Twitter user who mocked Halsey by calling her "miss i'm black". 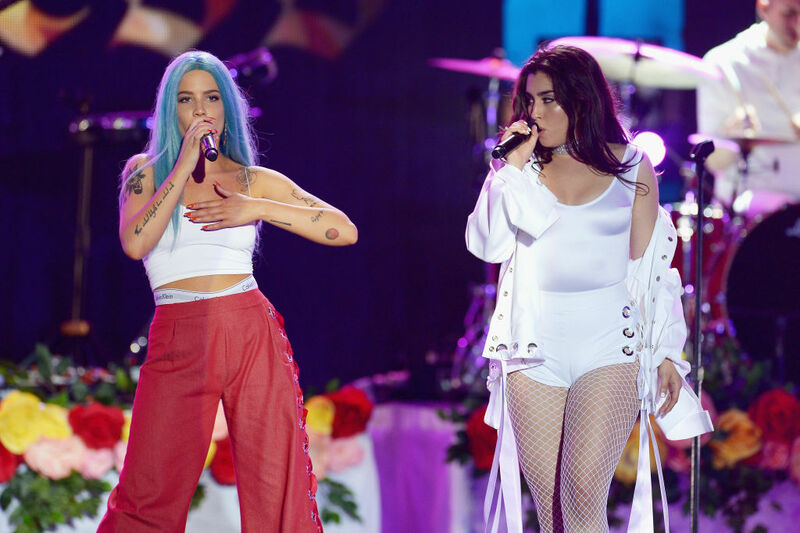 Lauren Jauregui and Halsey collaborated on "Strangers" from Halsey's Hopeless Fountain Kingdom album. They're also good friends, which is why it makes sense for Lauren to come to Halsey's defence like this. Halsey may, indeed, have light skin and light eyes, but not everything about a person has to be viewed through the lens of oppression. Halsey most likely grew up around black grandparents and relatives and probably viewed herself as black/biracial from a young age. Halsey isn't Rachel Dolezal. She actually has African ancestry and, believe it or not, some black people have light skin. It's incredibly misguided to push your own ideas of blackness onto others, especially when she has spoken about this VERY THING in the past. Perhaps we shouldn't try and police the blackness of people who we know have African ancestry, especially when they are vocal on social issues and frequently acknowledge their own privilege. 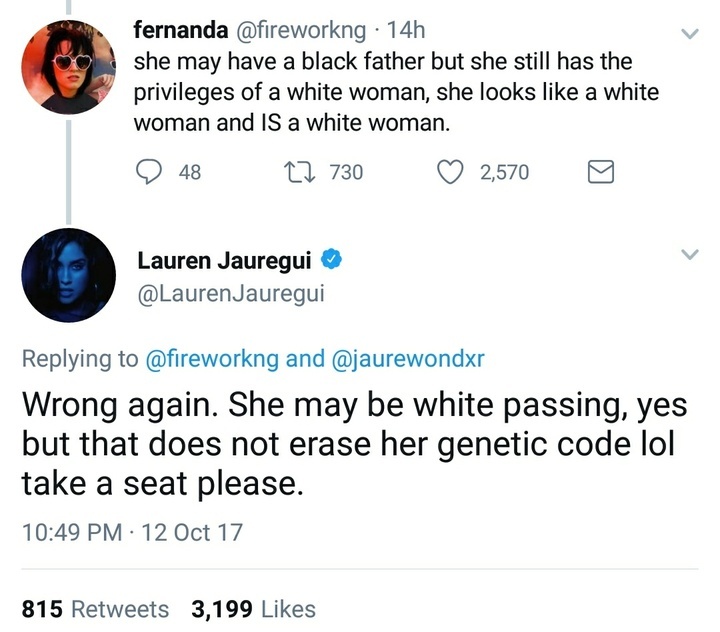 Lauren also seemingly defended Halsey against people who call her "fake woke". Unlearning is a process. Stop limiting each other & acting like being "woke" is an exclusive club, it turns people off from trying.